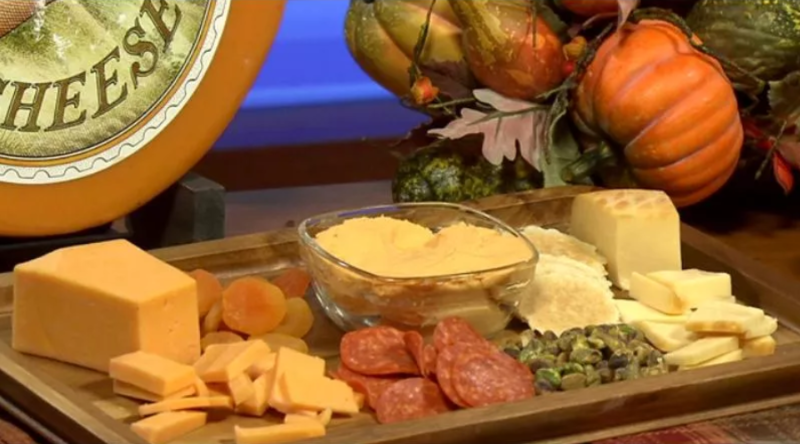 Whether we're cheering on the Green Bay Packers or the University of Wisconsin Badgers, game day is always more fun with a crowd-pleasing spread of Wisconsin cheese and hearty pairings. Arrange cheeses on serving board. Fill in board with celery, salami, mustard, jalapeños, pickles, eggs, pretzels and crackers. Add bratwursts to serving dish; place on serving board. Thinly spread brick spread onto salami slices. Top with green beans; roll up. Arrange on board. Fill in with landjaeger and beef sticks, giardiniera vegetables and crackers. Any brands of Wisconsin cheeses can be used. The amount of each cheese needed is determined on the size of the board you are creating. Standard hard-boiled eggs can be substituted.